Wader Quest: Read this before voting for the national bird! Read this before voting for the national bird! I am disappointed, nay seething! I have just read my copy of Birdwatching Magazine an enjoyable read as ever, but I noted that Lapwing is not even in the top 20 birds selected for the national bird vote! What is the matter with you people? Do you just tick off the first bird that comes to your head? I can see why robin may be up there in the voting, it is a charming enough bird but the fantastic Lapwing has come behind pheasant which is introduced for people to shoot and migrants such as the swallow that spend the majority of their time outside the country!!! This is a more important decision than people think. It will reflect on how we see our countryside! I am prepared to concede defeat to the robin, that is understandable but do we want people to think that we prize a bird from Asia that is here purely to be killed more than our own Lapwing which is steeped in our culture? Surely not! Uncharacteristically I have been tweeting a bit lately, not that anyone really noticed, (thanks to those that did) and I have been expressing my opinion that Lapwing should be our national bird. I have mentioned in a recent blog some of the reasons, quoting Emily Brontë and mentioning the likes of Clare, Shakespeare, Green, Shelley and Jonson and you can add to that Chaucer, Gower and Caxton demonstrating the presence of this bird all over our most prestigious British literature. I have mentioned the colour of its back being the same as a colour with the word British in it; British racing green, this bird is so British is oozes Britishness. We nearly lost this bird, back at the beginning of last century, but, proving that the government can create legislation just for the sake of saving a bird and not linking it to growth and wealth (present politicians take note), the Lapwing has its own act of Parliament The 1926 Lapwing Act which saved this lovely bird. As with all human activity over harvesting and greed nearly did for it, but this act, overnight, made collecting its eggs illegal. But there is more to this. Ever wondered why we celebrate Easter with eggs? 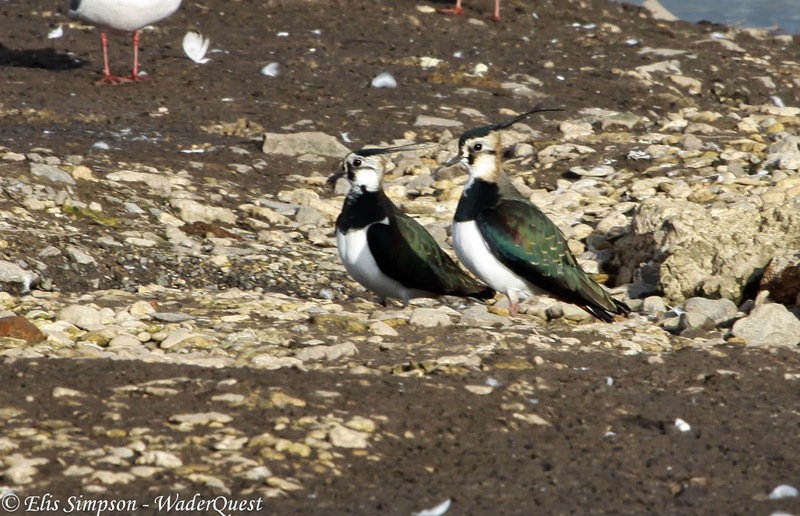 Next time you eat an Easter egg, or even see one if you don't eat them, you should immediately be reminded of the Lapwing, for it is this bounty (as the ancestors saw it) around the time of Easter when Lapwings are laying their eggs for all to plunder that led to the tradition of your Easter eggs. If you are a secular Brit you can also take heart that it was the pagans that thought that the common hare laid eggs, due to its sharing fields with Lapwings which would lay their eggs in the ready-made nest created by the hare's form (the scrape it creates to hide in). The pagans believed that the hare was laying eggs, hence The Easter Bunny! Next time you eat (or see) a chocolate bunny at Easter, think of the Lapwing for without this bird it would not exist. 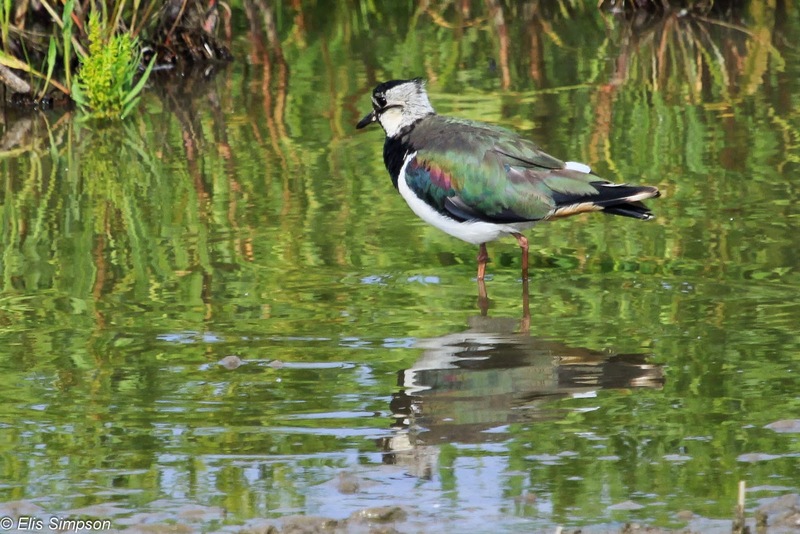 The Lapwing too has more vernacular names than any other that are still in use and just as many that have fallen from use according to Birds Britannica where Mark Cocker says of the Lapwing "Few birds have created as large a cultural legacy in Britain as the most beautiful of our plovers." He also goes on to point out that many place names throughout the country refer to Lapwings, such as Pyewipe near Grimsby. This plethora of local and vernacular names tells us that this bird is thoroughly steeped in local cultures across the land, so why, oh why, is this bird being over looked? We nearly lost this bird, but we got it back and now we are losing it again and it seems that no-one even seems to have noticed. Remember, as with the Scottish referendum, this is something that you will vote on that will be long lasting, not just this week or next week or next year or for the next parliament. This is our national bird we are talking about, what we choose reflects on our attitude towards wildlife, don't just tick off the first bird you think of or see, think about the rich tradition and culture that this country has and look for a bird that reflects that, and in the Lapwing you will find that bird.